It is more than obvious that our world today is being constantly challenged with more security threats than ever before. Each day a new and more sophisticated trouble maker arises on the horizon and threatens the security and the wellbeing of the entire world population. Governments and large organizations are spending big dollars towards the safety and security of their society and the race for the creation of a better and safer world never stops. One of the industries that has emerged strongly in this field by offering a range of practical safety solutions is the Electronic Security Industry with the Video Surveillance as one of its dominant branches. After so many years of a slow to a moderate growth, now we are witnessing the biggest expansion ever in the Security Industry. New products and new surveillance solutions with improved performances and reliabilities are continuously flooding the world market. Having so many security options within our fingertips, we are now faced with another problem which is not only a problem of the ordinary consumers, but also an obstacle for the experts with many years of experience in the security field. Because of the rapid industry expansion, there is a great deal of uncertainty among the security engineers about which security trend or product to choose. Ultimately, the final selection should be based on the fact that the chosen security solution is supposed to bring the best value for money to our customers. The aim of this article is to describe and compare all available video surveillance technologies on the market, focusing on their weaknesses and strengths. Additionally it also tries to give suggestions of what is the preferred choice of certain video surveillance technology for various security scenarios and circumstances. 1. It is a stable and well established robust technology which is supported by all major CCTV manufacturers. 2. Simple and easy to: install, setup, operate and maintain. 3. No compatibility issues among the cameras and DVRs. 5. There is 100% guarantee for no loss of frames or any video recordings in general. 6. Operator can observe live view of all connected cameras with no delay. 7. Full frame rate of 25 frames per second recording with a full video resolution is easily achievable. 8. The analogue CCD cameras demonstrate much better performance under low light conditions, than Mega Pixel CMOS cameras. 9. Video transmission for up to 300m distance can be achieved with standard RG59 coax and no additional signal boosters. 10. The total cost: to build, setup as well as to maintain the analogue CCTV system is very affordable and most economical of all other CCTV technologies. 11. There are numbers of FREE OF CHARGE software applications on the market such as: Central Monitoring Systems, Remote Monitoring Control, Remote Management etc. 3. There are not many sophisticated video applications and video integrations like video analytics etc. on the market because of the limited picture resolution. 4. The quality, reliability and security of its wireless transmission is less superior and less secure than the other IP technologies. 5. The upgrades of the camera’s firmware and other camera’s settings are much harder to implement. 1. Good for sites with a limited or very poor light conditions especially during night time. 2. Good for small scale CCTV installations with up to 16 x cameras and 1 x DVR. 3. Good for domestic and also for small to medium commercial and industrial buildings where HD detailed video coverage is not a necessity. 4. The best choice when a repair, modification or addition of new cameras to the existing analogue CCTV system is to be done. 5. The most cost effective choice when the new CCTV installation utilises the existing infrastructure of coax/fig 8 cables, inherited from the previous CCTV installation, providing the old cables are in good condition. 6. Preferred option for a low budget and low maintenance CCTV installations. This new technology is only a sub class of the Analogue CCTV. More or less it has similar strengths and weaknesses as the Analogue CCTV with slight improvements in certain fields. In my opinion it is only going to be an interim alternative to the new coming and more superior HD CCTV technology. Once the HD CCTV gets the attention and the much needed support from the major developers and CCTV manufacturers in the world, it will eventually sort out its early teething problems and soon become a preferred choice for all low to medium sized CCTV installations. The new Advanced CCTV trend became a reality when in the year 2014, a few major CCTV manufacturers launched new series of improved video resolution CCTV products. Among them was Bosch Security with its 960H line of CCTV products as well as Samsung Techwin with its Beyond series of 1000 TVL (1280H) products. Beyond series is new line-up analogue products from Samsung that provides the exceptional image quality through the best possible analogue CCTV resolution, outstanding backlight compensation and multitude of user friendly functions. Beyond series of CCTV products offers the best analogue system solutions so far that goes beyond any expectation. Beyond Series has managed to even slightly improve all already known strengths of the analogue CCTV. The biggest achievement however is the improvement to the weakest characteristic of the analogue CCTV which is the low resolution of the video image. Comparing to the old maximum analogue CCTV resolution of 600 TVL or even 700TVL the new Beyond series cameras are capable of achieving a maximum horizontal resolution of 1305 pixels end vertical resolution of 1049 pixels. Beyond series DVRs on the other hand can record with maximum resolution of 1280 x 576 pixels (0.7 MPix) @ 25 frames per second, on every individual channel. 1. This technology can achieve megapixel resolution of the video image which results in excellent clarity and crystal clear picture. Zooming in “x 2” or even “x 16” of a playback or live image will still provide useful and clear image. 2. Wireless transmission of the IP camera signal is much more robust, resistant to interference and very secure. 3. It is easy to remove, replace or add new cameras into the system. 4. It is also easy to move or replace the NVR and the data storage devices. 5. IP Technology allows a variety of data storage options like: redundant storage, remote storage etc. 6. Easy to maintain and upgrade the firmware and software of the IP cameras and other network devices. 7. The same CAT5/6 network cable is shared for the video transmission, control data and power supply to the cameras. No other cables are required for the installation. 8. Large range of video analytics and many other video applications and integrations are readily available on the market. Some of them are: Licence Plate Recognition app., Traffic Counter app., Face Recognition app., as well as integration with many integrated access control systems. 9. Many Network Recording Software apps are powered with intelligent search based on operator’s requirements as well as digital zoom with good quality. 10. Some IP CCTV manufacturers offer their own SDK (Software Development Kits) so the third party manufacturers and developers can design new video security applications with their products. 1. IP Camera’s performance under the low light condition is significantly inferior to its analogue counterpart. 2. The IP CCTV systems are more fragile than analogue ones, because they rely heavily on the network infrastructure. If the network goes down there will be no live video monitoring neither recording by the NVRs. 3. Because of the packetised IP network transmission of the data there will be always delay in the video signal. This delay is especially noticeable while viewing all cameras live at once in a higher resolution from the control monitor. 4. Installation of a large IP CCTV system requires lots of initial planning and extensive knowledge in computer networking as well as IP Video Surveillance. If it is not done properly the system will suffer from latency, delays and missing frames. If that is the case, even simple operations like play back of 2 or more cameras will be very slow and frustrating for the security operator. Please mind that missing frames means missing recording by the NVR, so there is a probability that some important events may not be recorded at all. In practise, Murphy’s low has proved to be 100% correct in cases like this because when the network was not to the right level, we had quite a few instances of missed recordings for important events. 5. There are few compatibility limitations among the cameras, NVRs and CMS software that have to be sorted out when planning and deciding what IP CCTV equipment to use. 6. There is a limitation of max 100m cable run between the network nodes. 7. Larger systems require fast and robust network infrastructure which usually has to be built from scratch. 8. Megapixel IP cameras require much more storage space than analogue CCTV cameras. 9. Every IP camera has its own allocated data storage which is a different recording approach than the global, shared, storage used by the analogue systems. In order to optimise the IP CCTV system’s storage capacity it will require every individual IP camera to be monitored for its activities over certain time. 10. Cost to build and setup the IP system is at least double than any other CCTV system and cost to maintain is triple or more. 11. Many Central Management Software (CMS) vendors, on top of charging for their application software, ask for additional licence fee for every IP camera used in the system. 1. IP surveillance should be considered for large sites comprising of more than 16 cameras. 2. IP CCTV system will be the preferred option if the site is already having an existing high bandwidth network installed, especially if the cameras are going to be spread out over a wide area, or if wireless cameras are going to be used. 3. CCTV Installations with the emphasis of High Definition HD footage with lots of details. Some examples may include: big sporting venues, train stations, town squares, shopping centres etc. In such cases one megapixel camera can replace a few analogue cameras and that is very cost effective solution. 4. Sites where the number one priority of the video surveillance system is the quality and clarity of the recorded image and the cost of installation and the maintenance are in the second plan. 1. High definition video that can go up to 2 Mega Pixels of resolution (1920 x 1080) pixels. 2. Relatively easy to install, setup, operate and maintain. 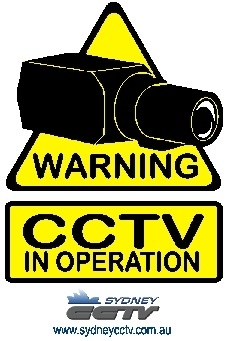 Similar to the analogue CCTV. 3. HD- SDI is already accepted standard among the big CCTV manufacturers. 4. No compatibility issues among the various SDI cameras and SDI DVRs. 6. There is 100% guarantee for no loss of frames or any video recordings in general. 7. Operator can observe live view of all connected cameras with no delay. 8. Full frame rate of 25 frames per second recording with a full video resolution is easily achievable. 9. SDI technology should use the same kind of cables as the analogue CCTV system but the catch is that they have to be in a good condition. 1. Despite being a cheaper alternative to the IP CCTV systems the SDI equipment cost is still too high. 2. Limitation of max 100m cable run between the camera and the DVR. 3. Video signal transmission is susceptible to electrical noise and electromagnetic Interference. 4. Requires much more storage capacity than analogue CCTV. 5. There are not as many tools, applications and support available on the market as for the IP or analogue CCTV systems. 1. Personally my suggestion is that if there is not a specific need or urge for installing HD-SDI CCTV system, than don’t install it at all. The reason is because there are much more sophisticated and cheaper HD Analogue CCTV alternatives that are rapidly coming on the market such as: AHD, HD-CVI and HD-TVI video surveillance technologies. have similar characteristics. At the beginning we will discuss only their common specs. Alternatively their differences will be presented in the comparison table. 1. The technology is very similar to the analogue CCTV. All cameras are directly connected to the associated DVR. 2. It utilises the same 75 Ohm coaxial cable as the analogue CCTV technology is using, but instead of transmitting only video it transmits simultaneously 3 signals together: video, audio and serial data. 3. Transmitted signal is immune to external electromagnetic interferences. 4. Maximum distance between the camera and the DVR is 500m. 5. It achieves instant signal transmission with no compression, no latency and no delay. 6. Delivers HD quality video image. Supports 720p (1280 x 720) pix. and 1080p (1920 x 1080) pix. i.e Full HD. 7. Complies with open standard which guarantees compatibility among the devices from different manufacturers with the same technology. 8. Low ownership and maintenance cost. Almost the same cost as for the good old-fashioned Standard Definition Analogue CCTV. 1. Relatively new technology and still not widely accepted by the major CCTV manufacturers. 2. The technology is not supported enough with as many Software Applications as the Analogue CCTV and IP technologies are. 3. Integration with complex integrated access control/ intrusion systems is very limited because of the lack of support from the major developers and manufacturers. 4. The maximum video resolution can only go to Full HD (1920 x 1080)Pix. i.e. 2.1MPix. 5. The video image under the low light condition is still not as good as from the conventional Analogue CCD cameras because the image sensor technology is CMOS rather than CCD. 1. In general all new small to medium scale CCTV installations in a future, should be done with the best one of the 3 HD Analogue solutions which is the AHD technology. 3. Good for domestic and also for small to medium commercial and industrial buildings. 4. The most economical choice in cases where the new installation is going to utilise the existing network of coax/fig 8 cables, inherited from the previous CCTV installation. Analogue CCTV is the oldest and most stable technologies of all.